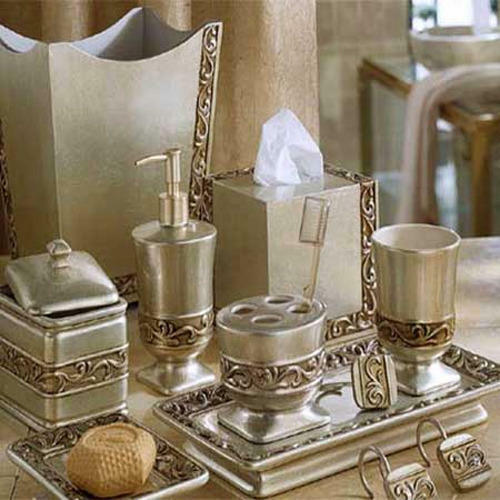 Manufacturer & Exporter of Metal Bathroom Sets. Our product range also comprises of Home Decorative Products And Furniture, Crystal And Glass Products and Bar Accessories. Owing to the years of industrial experience, we have been able to serve our valued clients with a wide range of Metal Bathroom Sets. Looking for “Metal Bathroom Sets”?